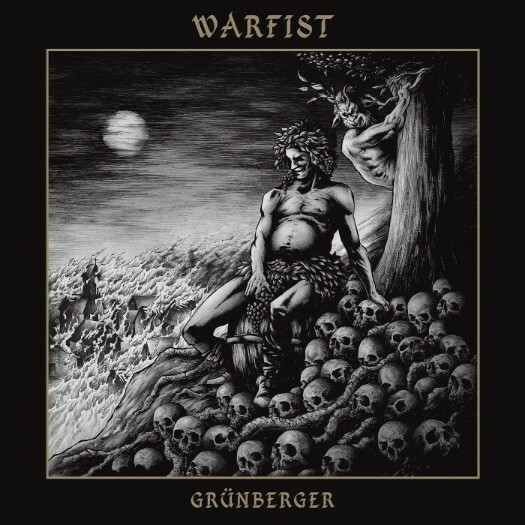 Warfist is a Polish Blackened/Thrash band and their latest album is “Grunberger”. A quick bit of research found that Grunberg is a town in Poland where there were 17th century witch trials and it was also a subcamp of the Gross Rosen complex which was staffed by SS females. Warfist bring some of the violence of these horrendous episodes in the town’s history to life with 10 x tracks filled with putrid anger and insane ferocity. “Black Army” kicks off this story of hellacious brutality with a beautifully composed acoustic start and then just as you get lulled into a false sense of peacefulness the frenetic onslaught begins. Track names like “Feasting on Dead Bodies”, “Slay, Swive & Devour” and “March of Death” should give you a fairly good idea about the intentions behind this album. “Grunberger” is fast paced and has speed with a capital S, as a blackened/thrash metal album should be. There aren’t many changes in tempo however it doesn’t get boring or make you want to turn it off. Track 7 “Death by the Cleansing Fire” and Track 8 “Grunberger (Drinking with the Devil”), my favourite track on the album, are classic examples of this with some spectacular and feverish chugging guitar riffage combined with neck snapping rhythms which are all driven along by thumping bass lines and frantic drumming. The vocals throughout the album deliver the desperate rage and are merciless in their tone which all helps in setting the character of this album.